I started writing Women, Resistance and Revolution in the summer of 1969 when I was 26. It was my first book , though I had produced articles in the left wing paper Black Dwarf edited by Tariq Ali, a pamphlet, Women’s Liberation and the New Politics and a thesis on an adult education movement in the late nineteenth century which was three times too long. I abandoned the thesis partly because it was not yielding clear revolutionary implications and partly because it was mainly about men. By 1969 the euphoria of 1968 was beginning to settle sufficiently to take a breath and reflect, though the echoes continued to resonate. The sense of hope and the emphasis on human agency which suffuse Women, Resistance and Revolution belong to the late 1960s and very early 1970s. I read it right through for the first time since those long ago days with a certain trepidation. I was moved by so many diverse women’s voices dreaming of freedom; and felt attached to the rhythms of language caught in the quotes. The proverbs still brought a wry smile. The ideas within it were more complex than I had imagined. Indeed it was eerily evident that this first book reaches out towards many of the topics and people I would follow up in my later historical writing from Hidden from History (1973) to Dreamers of a New Day (2010). Even then I was preoccupied with a theme that is central to the group biography I am currently writing for Verso, Rebel Crossings- the problem of balancing individual expression and collective action. Nevertheless I shuddered at the sparse footnotes! The European history I knew from university was being supplemented somewhat as I wrote by reading on America, but I knew very little. And I wrote about Russia, China, Vietnam, Cuba and Algeria from secondary sources in English. My habit of landing heavily with political messages in bossy paragraphs caused me to wince though at least these interventions are relatively brief. I mopped my brow at my airy dismissal of current sociology, psychology and anthropology and was relieved to find youthful arrogance tempered by an awareness that there was so much to find out. In hindsight the absences are revealing. Though I mention homosexuality, lesbianism passes without mention. I allude to the suffering people experienced in revolutionary times but it remains in the background. I realize now that the conviction of impending revolutionary transformation must seem well nigh incomprehensible. If you want to understand it read Tariq Ali and Susan Watkins’ 1968: Marching in the Streets (1998) which relates the devastating events occurring globally and cites none other than Hillary Clinton as a student demanding the impossible. A more recent detailed work of oral history edited by Robert Gildea, James Mark and Annette Waring, Europe’s 1968: Voices of Revolt, (2013) also conveys the atmosphere of the time vividly and in great depth. 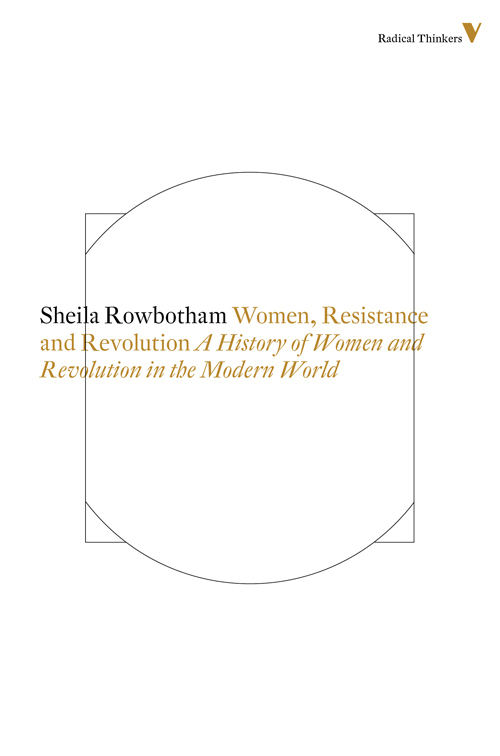 There were so few books available on women’s part in revolutions that I simply went through the British Library card catalogue following up references. When I rang the Fawcett Library (later the Women’s Library) the response was bemused for, of course, they focused on the constitutional suffragists. Grumpily, and full of zeal, I concluded they were a somewhat reformist outfit! My great inspiration was Edith Thomas’ book on women in the French Commune, The Women Incendiaries. (1967) From this I went back to her earlier work on women in the revolution of 1848. Influenced by the women of the French Resistance, her understanding of male cultural bias in history and how ideas develop in action was revelatory. Confronted by a lack of secondary material, I went to the newspapers the 1848 revolutionary women had produced that are available at Colindale. When I wrote on thinkers such as Marx, Bebel, Olive Schreiner or Alexandra Kollontai I simply read them in the original. This probably gave the book its freshness and sense of discovery. My outrageous ambition came from the atmosphere of the times. I proposed to cover women’s resistance from the seventeenth century on to the emergence of women’s liberation. Unaware of the perils of teleology, I was convinced our new movement would solve all the inadequacies of previous social transformations. I carried on writing through 1970 and into 1971, whereupon my wise publisher Neil Middleton at Penguin convinced me to divide the manuscript into two parts. Women Resistance and Revolution was first published by Allen Lane The Penguin Press in 1972. (Not in 1974 by Vintage Books as is stated in the Verso reprint) The second part would become Woman’s Consciousness, Man’s World, a Pelican, in 1973. I was lucky with my American publisher, Andre Schriffrin who also published Juliet Mitchell. After the U.S. hardback appeared, he fought for it to go into paper back. This was to be the 1974 Vintage edition and it confounded the publicists in New York by selling widely by word of mouth through the women’s movement and the left. 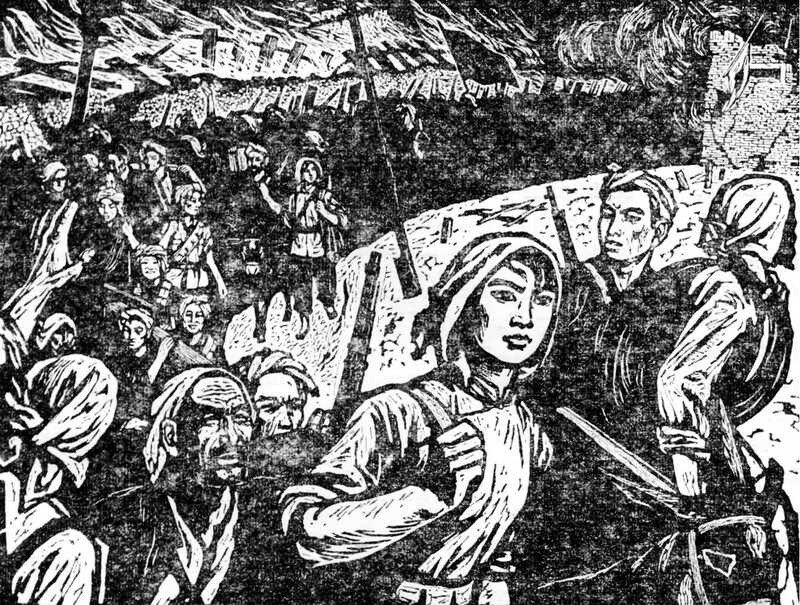 Women, Resistance and Revolution touched a consciousness unfurling through the 1970s among women engaged in left politics in many parts of the world. I remember on my publication day in 1972 being in the launderette in Hackney (still no washing machine in our communal house) and thinking how mundane it was to be washing when I was an author-I had only a dim idea of what being an ‘author’ entailed. The immediate response in Britain and internationally overwhelmed me. Never much good at sound bites, I rejected requests I did not think I could cope with like the radio show of Vincent Price (famous for vampires). But I did answer a lot of letters and visitors arrived from many countries. I floundered when a Saudi princess arrived to ask for advice on the emancipation of women in her country. I kept glancing anxiously at the hole above her head in the kitchen ceiling caused by a couple doing Primal Scream therapy in the bath upstairs, hoping the plastic bag I had stuck in it would not become dislodged. It was difficult to explain that writing a book enabled you to grasp some things but not others. I could see how rewriting history with women in mind was a collective endeavour, not to be done by one individual, though I could not imagine just how many books our movement would generate. Things were complicated for a writer by our suspicion in women’s liberation of individuals becoming known. Someone left our women’s group because I had my name on the book. Visiting America in 1974 was puzzling for an uptight Brit. Being a minor celebrity there was strangely acceptable! - people enthused openly and invited me to speak. I found this very confusing, but most importantly I made several lasting friendships with socialist feminist historians there from the early 1970s and I owe them a great debt. They imparted a fascination with American radical women’s history that is still with me. Because the book was translated into many languages it travelled around the world, first in Europe and then further afield. Over the years information would percolate back. The Spanish translation reached Latin America and eventually Cuba. The French version was illegally translated into Arabic and was read in North Africa. Many years later, at a U.N. Institute in the late 1980s I met women from Afghanistan who had read it in French. I have wondered many times what became of them. Writing became my métier, never easy but all-engrossing and obsessional. Of course when you write you want your work to affect people, but, then and now, I was, and am, awkward when this happens. Now this first book is out and about in the world again after so many decades. No revolution is in sight, instead hard won reforms are being ripped apart, and I am searching, in the words of the wonderful William Thompson in 1825, for how ‘to build up a new fabric of social happiness comprehending equally the interests of all existing human beings’. The Women, Resistance and Revolution new edition is part of the Radical Thinkers Set 8. On 18 March, Kate Hardy will present Women, Resistance, Revolution at the ICA.